Probiotic food supplement that temporarily modifies gut flora. USANA Probiotic is unlike competing products because it contains Lactobacillus rhamnosus LGG® and Bifidobacterium BB-12®, two strains of specific probiotic bacteria shown to survive the harsh acidic environment of the stomach. 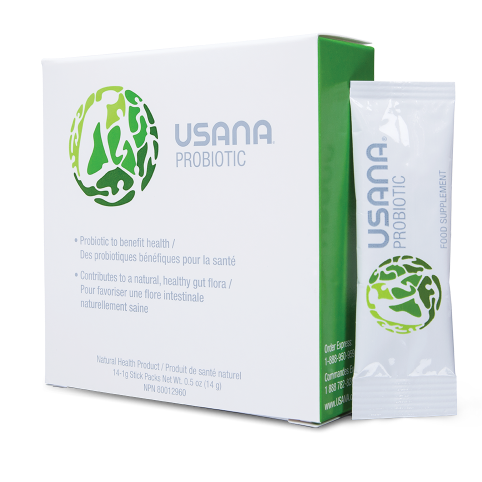 Another advantage of USANA Probiotic is that its dairy- and sugar-free delivery system ensures that the bacteria will be stable at room temperature for two years. 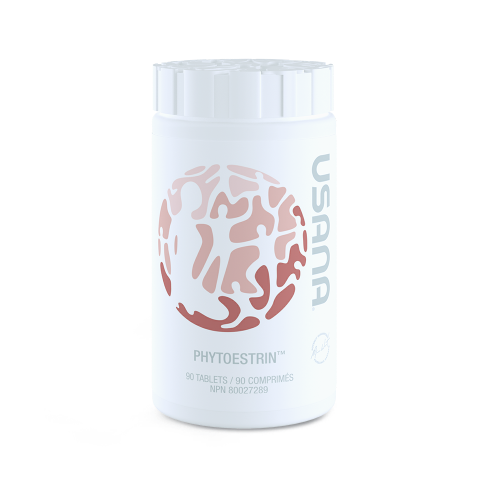 USANA Probiotic is a blend of probiotic bacteria that provides live microorganisms to temporarily modify gut flora, which helps create an environment conducive to healthy digestion. The bacterial strains were carefully selected to survive the harsh environment of the stomach to ensure effective colonization of the GI tract. USANA Probiotic is dairy free, sugar free, and is also guaranteed to remain effective for at least two years when stored at room temperature. Few probiotic products can make these claims. And it is so convenient—you can easily add a stick pack to your favourite Nutrimeal™ or Fibergy® Plus. Bring balance to your belly with USANA Probiotic.